Although I totally forgot to take a photo of the Christmas lunch I didn’t forget the desert!!! You can’t get much more Australian than a Christmas Pavlova!!! Yummy!!!! As usual everyone was making fun of my bowl of desert and how high my mountain of food was, but who could pass up all the yummy things!! 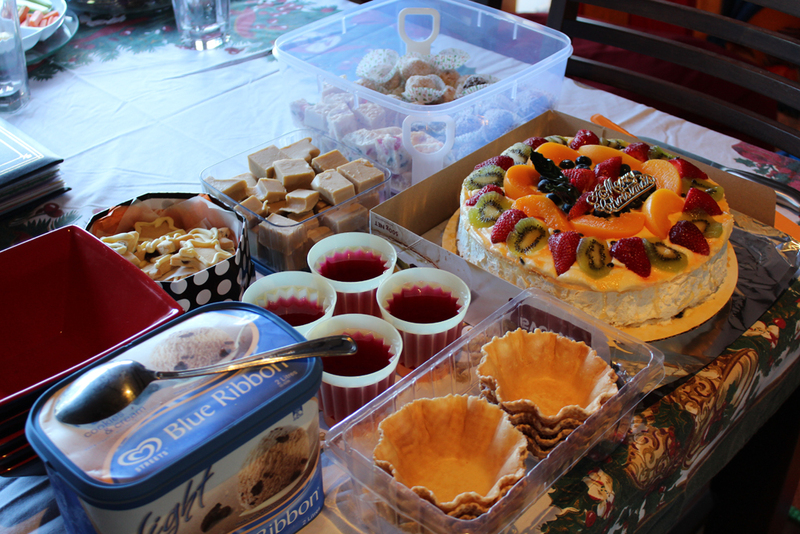 We had cookie and cream icecream with waffle baskets, jelly, shortbread, white chocolate fudge, rum balls, apricot balls, white christmas and of course that beautiful pav prepared by Nanny.